This summer we had the distinct pleasure of visiting the nation of Japan, particularly Tokyo, Nara, Kyoto, and Kamakura. It is an amazing country and culture, and has so many wonderful treasures to be seen. Our week there only scratched the surface. Like anywhere I travel, my camera went with me and photographs were taken. Make that, many photographs were taken. The entire set of photographs can be seen at my main website (www.restenergy.net) or in the Japan gallery. 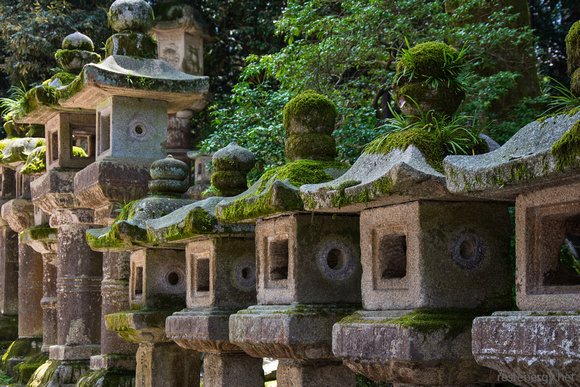 At the top of the post are some of the multitude of stone lanterns at Kasuga-taisha, in Nara. Nara was the ancient capital of Japan, before the capital moved to Kyoto. This particular shrine was founded in 768, and has long been associated with the influential Fujiwara family and eventually had imperial patronage. 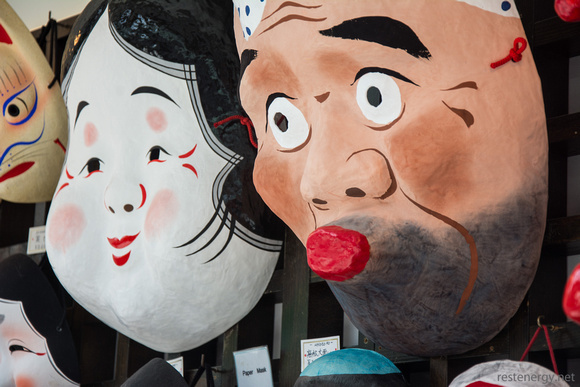 The large decorative masks above were on display at one of the many shops lining Nakamise-dori, the approach to Senso-ji, the oldest Buddhist temple in Tokyo. The bustling temple was originally founded in 628, and continues to attract many visitors and tourists. 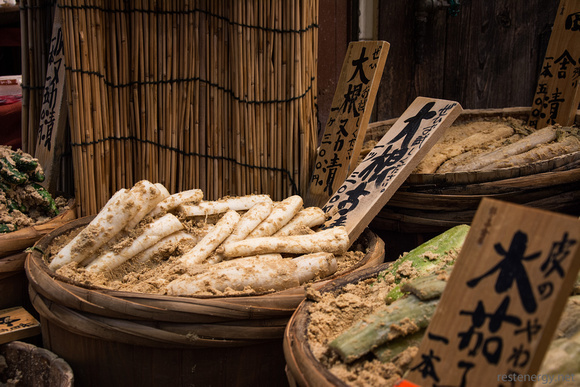 Below are barrels of pickles for sale along a very interesting street market in Kyoto, Nishiki Ichiba. This street is lined with shops selling various foods, knives, and other items. The traditional pickles here are cured in rice bran. Several fascinating blocks long, this market is well worth a visit when you’re in Kyoto. 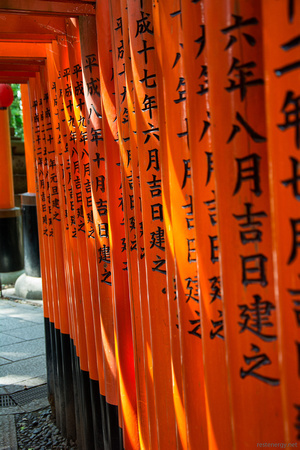 The image below is from the Fushimi Inari-taisha shrine in Kyoto. The shrine, dedicated to one of the leading kami (the deities/spirits of the traditional Japanese religion) in Shinto and the head of all Inari shrines, is famous for its many red torii gates that lead up the mountain path to a shrine near the summit. Please visit my website or the Japan gallery to see many more photographs from the wonders and culture of Japan. If you’re on Facebook, please considering liking my photography page, Restenergy Studios. You may do so in the column to the right of this post. and a large hardcover edition. Borrowed Light is available in hardcover, standard paperback, and a compact paperback edition.